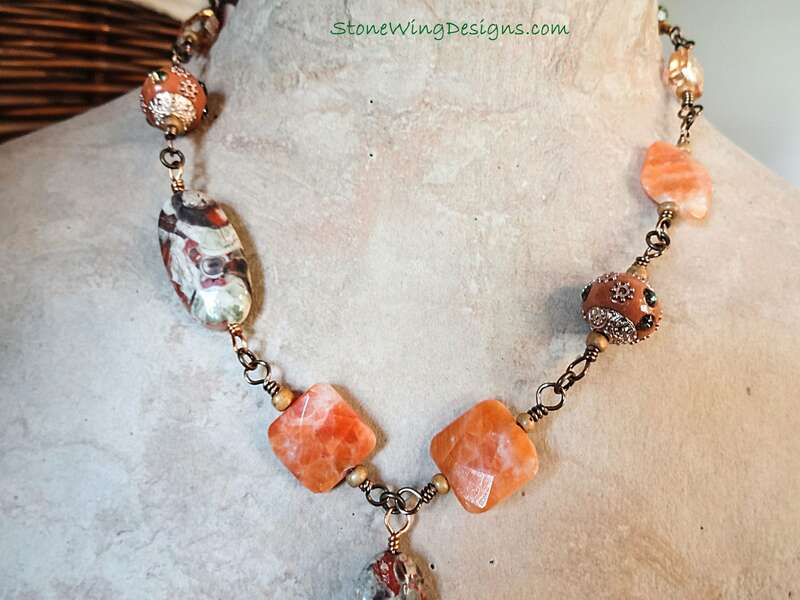 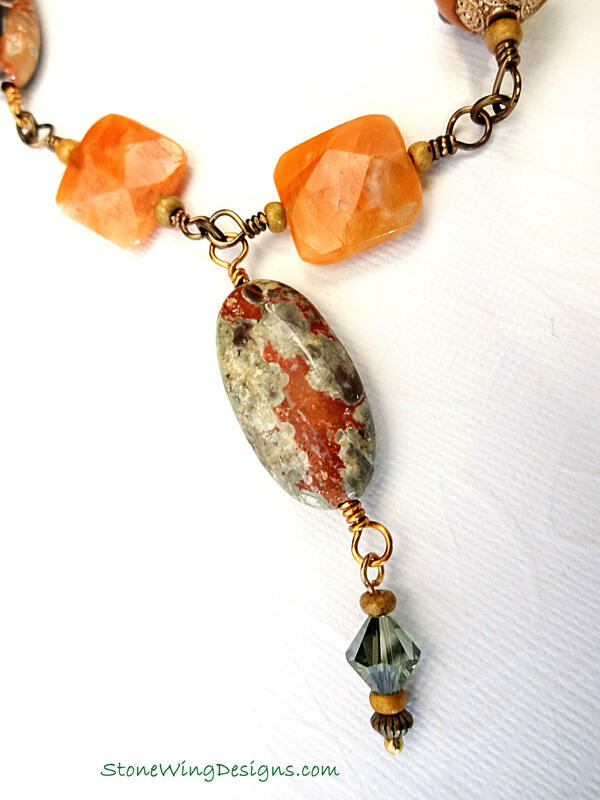 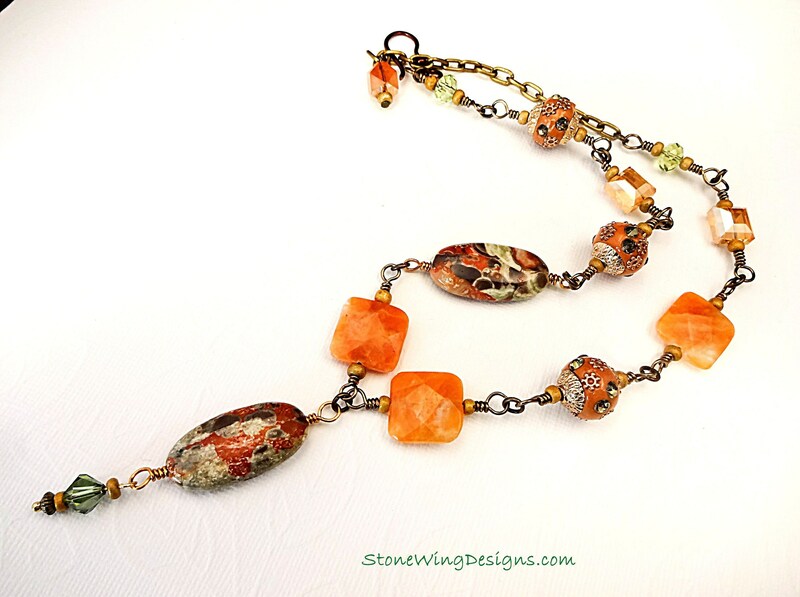 Orange Calcite in faceted flat squares paired with the dark rust and green of Mushroom Rhyolite Jasper make a gorgeous pairing in this one of a kind necklace. 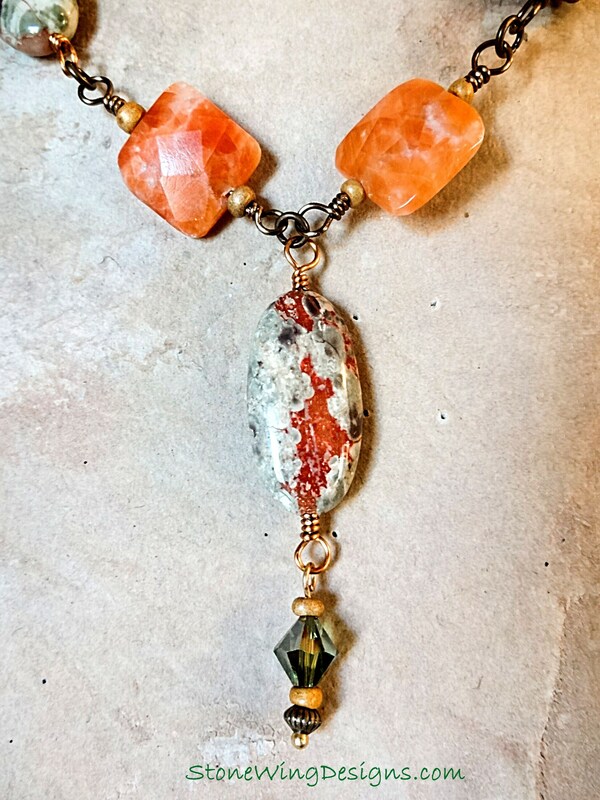 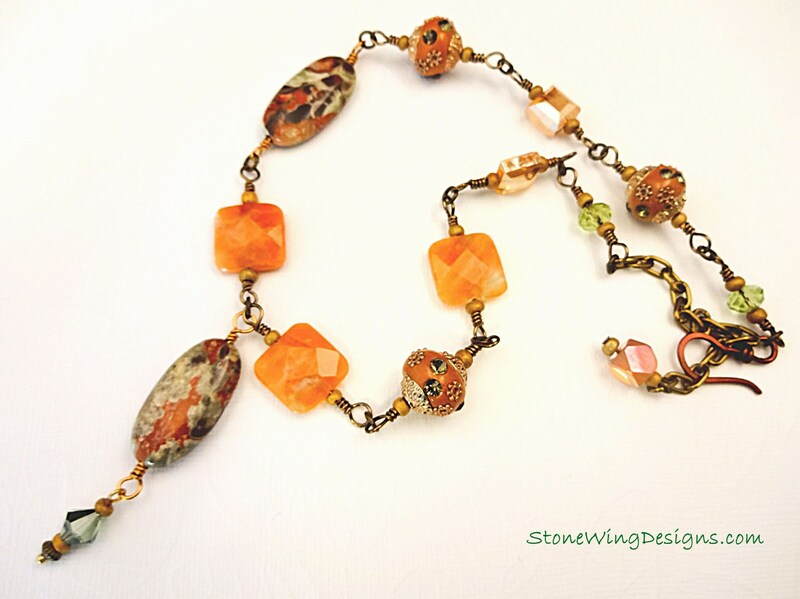 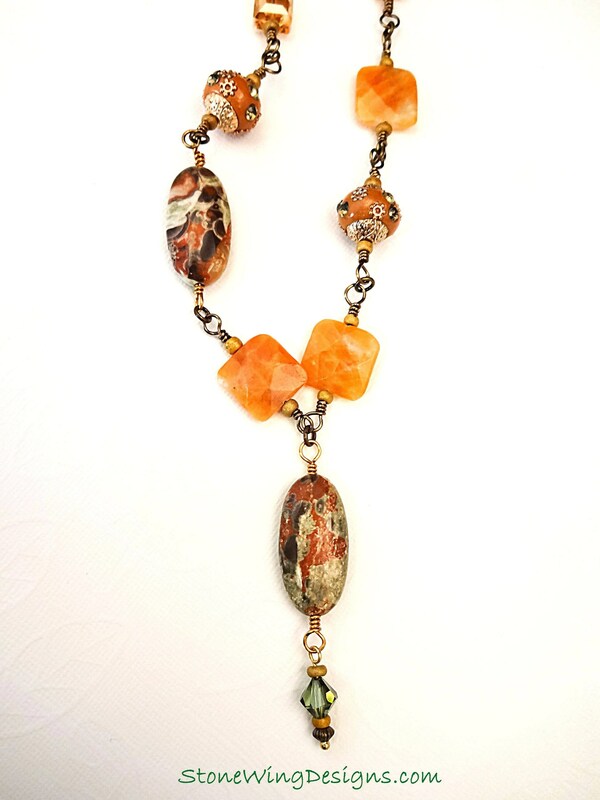 Orange crystal squares, green crystal rondelles and 3 orange leather and crystal-studded beads are all wrapped in antique brass giving the piece rustic vintage appeal. 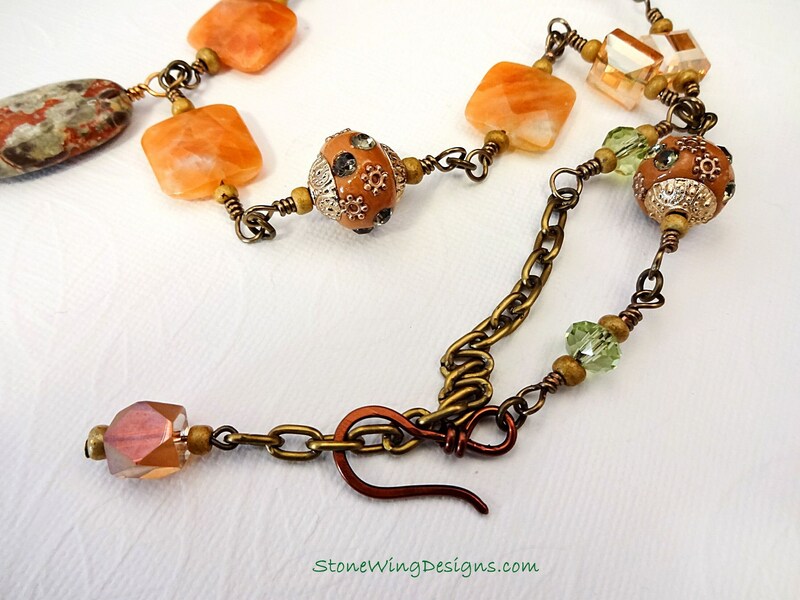 The clasp is a handmade antique copper hook that attaches to an antique gold chain; the length is adjustable from 15 to 23 inches so it will go with any neckline. 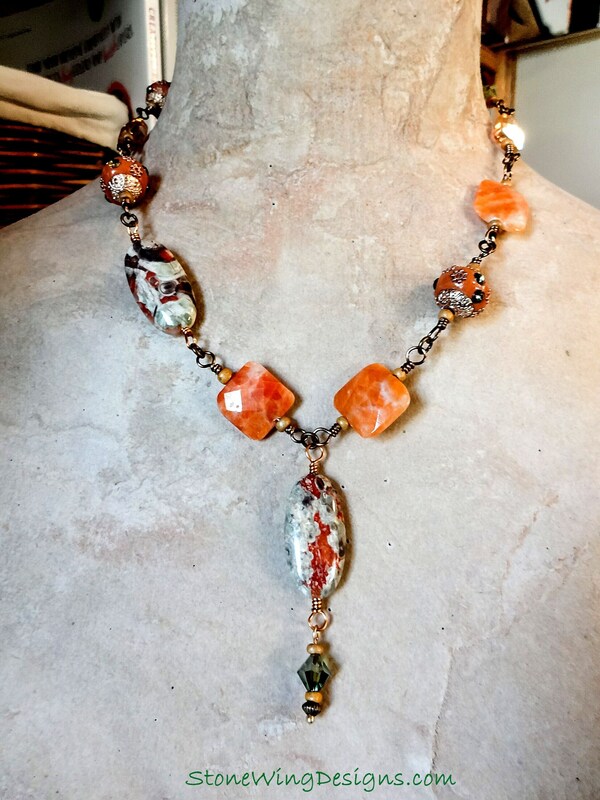 Let me know if you would like less chain.